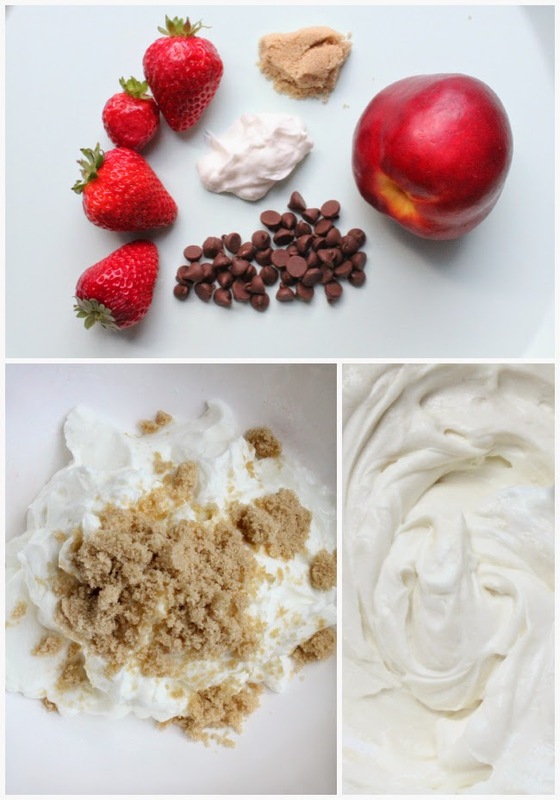 Who doesn't love something sweet and healthy? Never ever can you have too much sweetness if it's actually doing your body good. I was not born with an inherently natural sweet tooth like my mother. She can honestly eat an entire bag of Dove chocolates and call it "dinner" with no remorse. It's astonishing, actually. I very rarely get a craving for sweetness, but when I do, I tend to opt for something less... guilt ridden. Typically, I spoonful of peanut butter is enough to satiate my craving, but sometimes, I need fruit. And chocolate. And brown sugar. 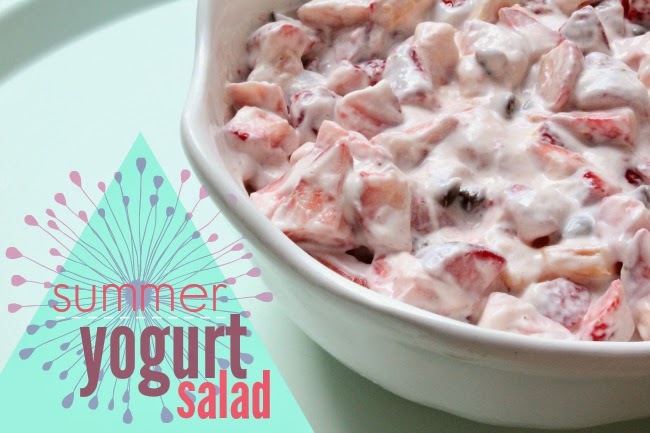 I came up with this salad based on my love for yogurt parfait... and quite honestly, it's to die for. The best part is that you can customize it with whatever fruit/toppings you like. I added in the brown sugar first to make sure it mixed with the yogurt. I didn't want it getting stuck to the fruit and clumping. Next, I added the fruit and just mixed it all together. Along with some mini caprese's and tortilla chips, guacamole and salsa, we had the perfect snack table for a movie night with Jen and Pat. 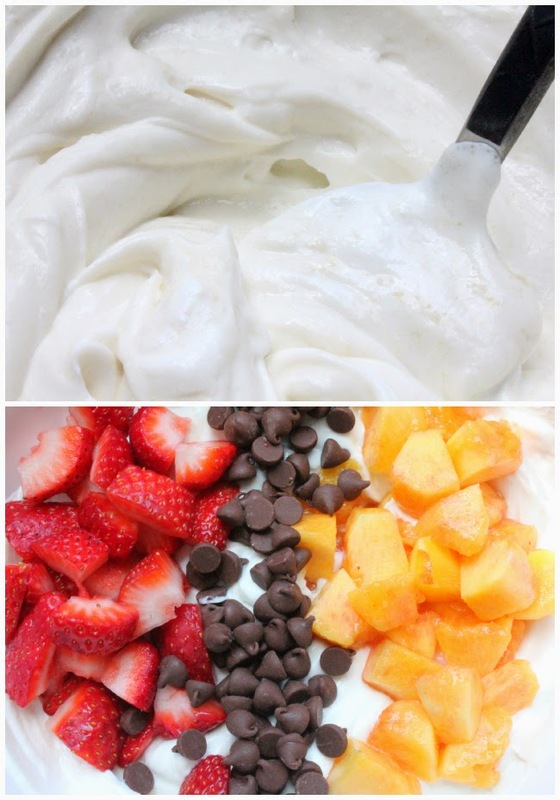 I cannot wait to whip up some more tasty summer snacks and share them with you! 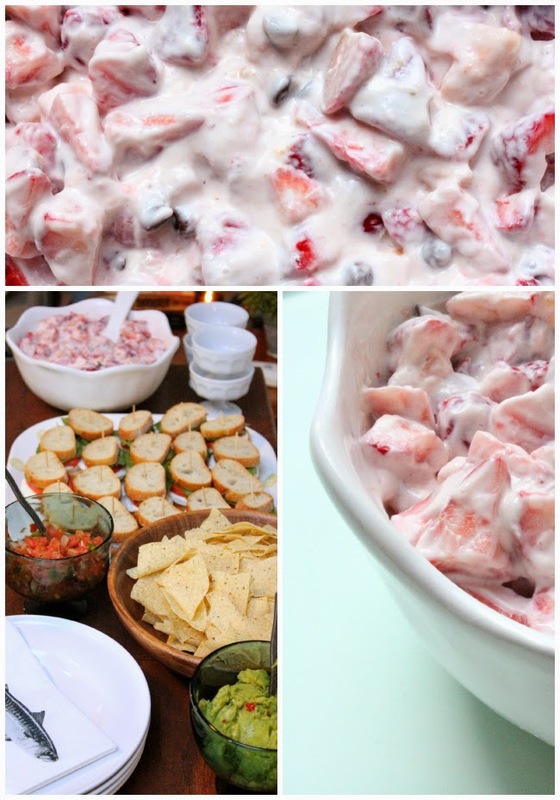 This is also the PERFECT Memorial Day picnic salad. Pack it up in the cooler and take it to the park or the pool and dig in! What a delicious and gorgeous salad! I would happily eat this all day every day!